As our server slowly grows and changes, everything else surrounding the server also will likewise grow and change. After the server maintenance over the weekend, the server upgraded to 1.7.2. With tons of lag, the new features still invited players along. 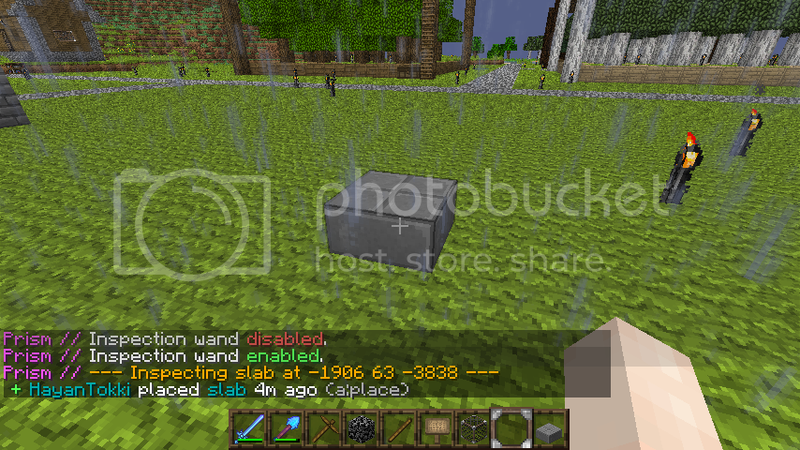 The server then changed its server JAR to Spigot from Bukkit. This completely eliminated lag serverside. During the maintenance, the seniors of BH gathered to create "NewCity". The tour can be found here (skip to 6:40 for NewCity Tour). The city features a mall and now plots for people to build in. Players can ask any of the known seniors about plots and/or mall renting. Players aren't aware of every plugin the server has, as many do not affect them in the least, and also hasn't been helpful to server administration. For this reason, many of the plugins were wiped out. We deleted the /home command altogether as many players were abusing this command (one player set it to where he mines in the nether so that if he falls/burns to death, he can type /home and be saved in an instant). We have removed this also because it's not a command you find in vanilla in single player survival. 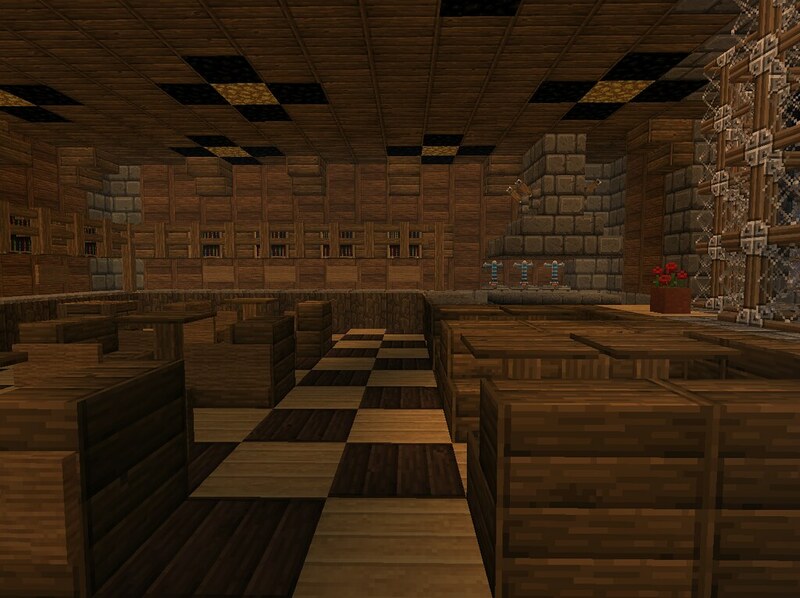 We remind players that the server mimics vanilla gameplay and will continue to do so. The server now has votifier and the server has been submitted to more server lists. If you can find our server on that list and vote for it, you will receive levels. We decided against item rewards as this can destabilize the consistancy of materials generated in the server. Votifier may get an upgrade later so we can count how often a player votes and reward them for voting so consistently. HayanTokki's Let's Plays of BH is now taking suggestions. Feature Fridays may be an idea for a weekly feature video showcasing other players' builds. Build Challenges and community build videos can be another. Please submit your ideas through our "Contact Us" page (link at top of page). We have shut the server down for administration. The server will be moving over to 1.7 in this short period. 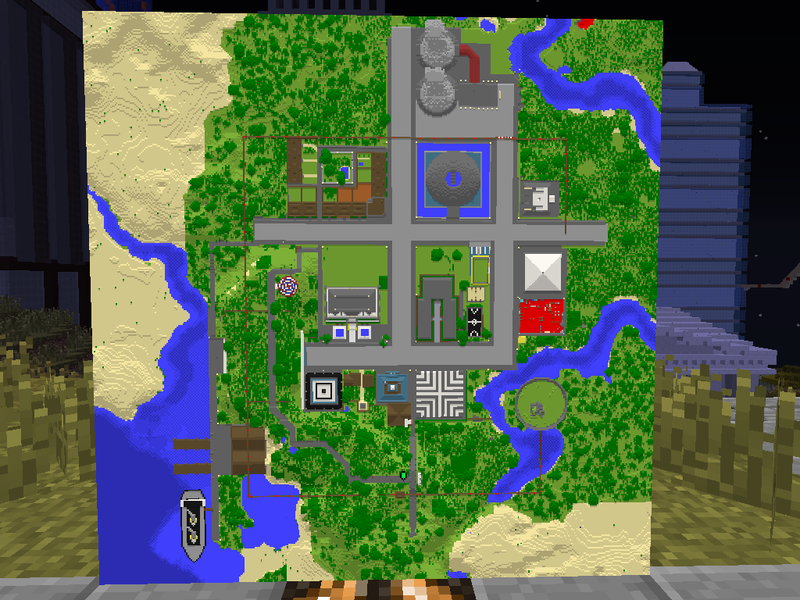 The server will be gaining a new city that will be located in a newly generated biome. This is so new and old players can go from there to look for new places to set up base. We hope to have the server back online for Monday. Please do not worry as this is will enhance your experiance on Block Hermit. Oh and don't forget about us. New players now spawn in this structure where they can read up on how the server works and little tutorial buildings to get started. Players are unable to leave this spawn structure without using the region pole. You asked for it and we provided it! Players are now able to construct PVP arenas of their own. HayanTokki will approve it, when the arena is submitted for approval. There are minor guidelines such as no break-blocks (torches, redstone, etc) on the ground and no doors to bar players from leaving/entering. The arena should be generally well lit unless a player has built a theme pvp where darkness is necessary. When approved, the PVP arena will deny players from using enderpearls within the arena as well as commands. Players will also be notified they are entering a pvp zone and when they are leaving it. Players will keep level and items upon death so it's harmless to enjoy a round of PVP in arenas at any time! Certain item-loss arenas will be made so that players can wager items to win upon loss. But the Arenas are all up to the players in design, functionality, and more! We invite you to create your own arena today! The server is now running on 1.6.4 Dev Bukkit. All plugins have been updated to the latest version and the server is running rather smoothly. Please report all bugs or glitches to us via the "Contact Us" link at the top of the page. We are trying to update as soon as our host allows updates so we request please don't ask us to keep updating. We are trying to keep up, we promise! We Gun Git You, Griefers! We are now able to see all that you do! Big brother's at it again! We recently used LogBlock to log players' block placement in the server and though it proved useful, since most player made structures are protected, griefers managed to find underground chests placed by players who'd drop off a few things while mining and stole items from within it. Unfortunately, this has happened twice. Unable to properly accuse these griefers due to lack of evidence, we had to wait until some griefing happened before we went and banned them. Second time around, we were able to invisibly stalk the offender and catch them stealing from chests red handed. Logblock proved to be inefficient to track chest access so we removed logblock and replaced the plugin with Prism. We are now able to track chest access, entity kills, as well as the good ol' block placement. Griefers, beware! With the introduction of the Nether we were given access to a whole new world! And with this a portal has been erected in the city, albeit a tiny bit hidden. If a player enters the nether through this portal, they can get to the nether mall! Nether mall is unfinished as of this post but players will be able to buy the little stores to make their own mall shops! Whether it be functioning or completely for looks (even if you want players to donate blocks to you), you'll have complete control over your little store. Currently, the first floor's right wing is finished. At this very moment, work is underway for the left wing. There are three levels to this floor. Also, a new plugin has been introduced to limit mob spawn in city and nether mall. Mobs will spawn as normal anywhere else. This mob limitation control is not available to players. Finally, no more surprise skelly attack just for visiting the melon factory!